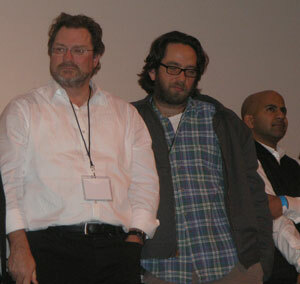 If you know these men by name, you're an Office Space geek. Post a comment — Trackback URI RSS 2.0 feed for these comments This entry (permalink) was posted on Tuesday, April 14, 2009, at 11:43 pm by Michael Trice. Filed in Basement Basics and tagged definitions, geekery, too many notes. About as good a definition as I’ve seen. terrific definition. however i do disagree on the point that “everyone’s a geek about something.” you’re in academia, where that may be true, but you have forgotten about the vacuous dealings i am subjected to daily.